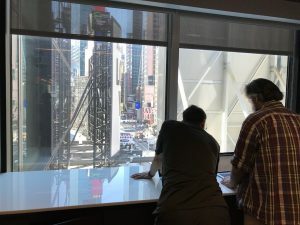 This two-days meeting was hosted by Adobe Systems in a high building sitting in front of the Time Square giant digital screens. A monumental whale was passing by the windows from time to time, and a tribe of Minions were often staring at us, joking. 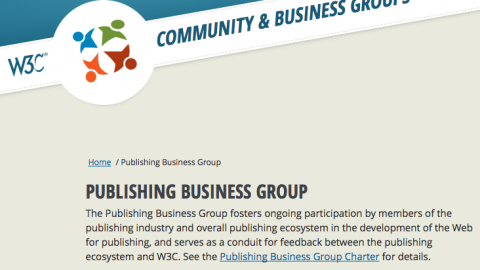 the W3C Publishing Business Group, which “serves as a conduit for feedback between the publishing ecosystem and W3C”. 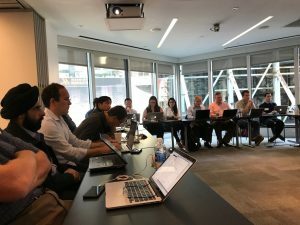 In practice, it was also the first meeting of the new W3C Publishing Working Group, which will do the technical work on the future WP/PWP/EPUB4 format. More information on WP/PWP/EPUB4 are found here. This page will be updated as the work of the WG goes forward. There were around 35 people around the table, which is a good sign; but no representative of the browser vendors, which is kind of disappointing. As this was not formally speaking a WG meeting, will wait until the next meeting to see if interest for publishing is growing in the “pure Web” community. security: L.Rosenthol from Adobe made a presentation of different Web Security issues. These potential issues will have to be kept in the radar during the development of the specifications. The next topic, introduced by Ric Wright from Readium, was the implementation plans and testing issues. Ric insisted on the lack of proper authoring solution for EPUB 3 publications, something that hinders seriously the global adoption of EPUB. He also underlined the dichotomy between the need to test the content (epubcheck is the proper tool for that) and test the rendering the content (this is what EPUB TestSuite is intended to do for reading solution, with many limitations that should be overcome in future versions). Exit criteria (aka “definition of done”) is an important matter for agile software development. It is an open question if the W3C should define exit criteria relative to reading systems (and authoring tools). Another question was if two implementations of an authoring tool are required for checking that an EPUB feature can be implemented (the current requirement seems to be only about “reading” tools). EDRLab will become a “testing ambassador” of Web Publications and EPUB4, and it could take different forms: 1) EPUB 4 will become an input format for Readium-2 streamers 2) if Web Publications are like the current Readium Web Pub Manifest used in Readium-2, Readium-2 may adopt Web Publications as an internal format 3) even if it is not the case, a Readium-2 streamer will be able to open a Web Publication as a remote publication (from its URL). The different implementations of Readium-2 (iOS, android, web, desktop) could be considered as different reference implementations. The second testing ambassador is still to be selected; It may be the Rebus foundation. Laurent Le Meur and Hadrien Gardeur then introduced the Readium-2 architecture and Readium Web Pub Manifest. This work has been proposed to the W3C Publishing Working Group as a blueprint for a future W3C Web Publication Manifest. We are confident that after some time studying the requirements of Web Publications, the WG will conclude that this approach is a great solution to the problem of exposing publishing metadata, links, spine and resources in an effective way. A Web App Manifest (the spec draft is here, an article from Google is here) which represents a Web Application and could be combined with the content of a Web Publication Manifest to enable the representation of “a book as an app”. 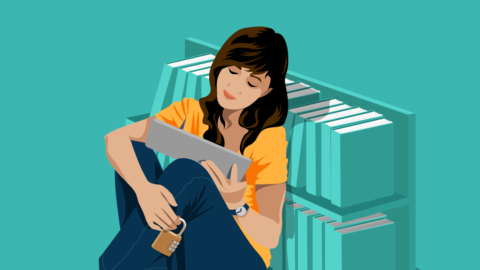 A Web Packaging solution which could challenge the ZIP format currently used in EPUB 2 and EPUB 3. Services workers, a technical “proxy” solution that enables browsers to handle publications even when the user agent is offline. At the end of the second day, an outline of the Web Publication specification was discussed and editors were selected for each section. Laurent Le Meur insisted for getting a place holder there for the work to be done on Web Comics by a new EDRLab WG. The first item for discussion among the WG will be the concept of a manifest: its definition and its conceptual model first, using the Web Publications Requirements paper as a source; then its syntax will be discussed. It has been a productive meeting, but this is only the start of the road. 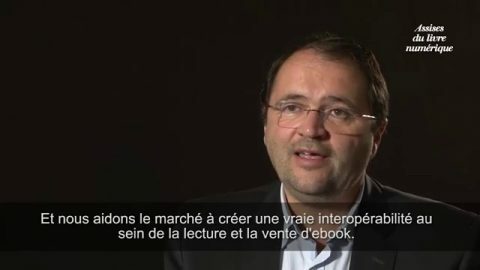 In a brief talk in honour of the memory of Pierre Danet,followed by a minute of silence, Bill McCoy reminded the participants that Pierre was was instrumental to the combination of the Publishing industry with the Web, and was convinced that the reading experience has to be re-invented. We now have to follow this path. The work already done by Feedbooks and EDRLab as part of the Readium-2 project constitutes a perfect example of how specifications could derive from active software prototypes, and not the reverse. EDRLab will dedicate time to be part of this work, and we hope that EDRLab members will help injecting innovative features (web comics, enhanced audio-books etc.) 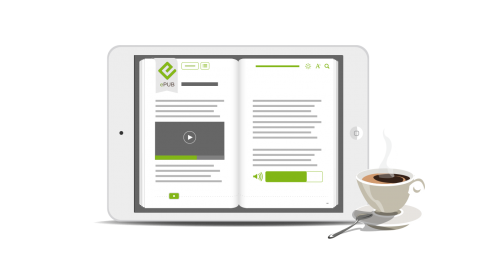 inside the future EPUB 4 standard and its online counterpart, the Web Publication standard. Minutes of the first day and second day of the meeting. Read also this post from Tzviya Sigman about the meeting.